An SMS or text Campaign will send out mass SMS messages to all the leads uploaded to the campaign. Admins can utilize this feature to use SMS messages instead of doing actual calls. 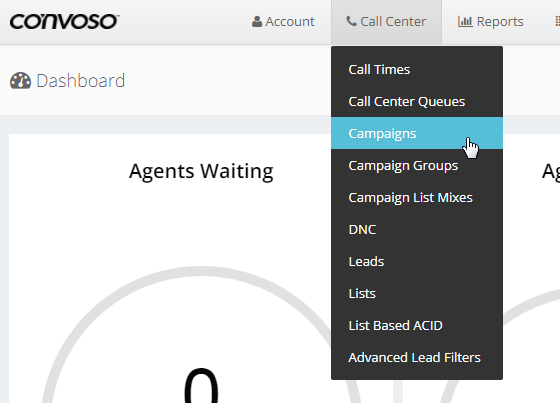 In the Dashboard, click on Call Center and select Campaigns from the drop down. In Campaign Settings, click on the SMS Tab. Exact - response will only be valid if the content contains the exact value.